A short, practical one today. 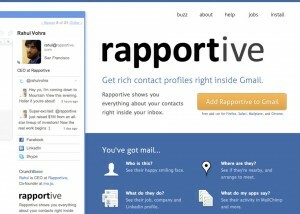 If, as I do, you enjoy the flexibility and features of gmail, please consider adding rapportive (an add-on that works in Safari, Firefox, and Chrome). In a nutshell it displays information in a sidebar about the person who sent or received the email you are looking at, including social media, previous email exchanges, and photo. It’s a godsend if you can’t quite remember who someone is, and helps you keep up with what people are doing. 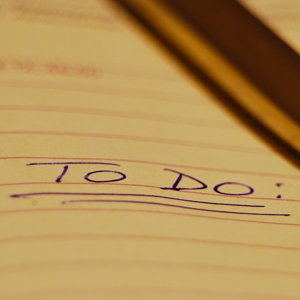 The last few months have been very busy for me, and I have neglected this blog terribly. I just finished my grades for this semester at the university, so I am looking forward to a couple of months working on projects that had been pushed onto the back burner. One of those projects is this blog. In order to get back into the swing of things, I am going to post something every weekday this month, starting with this post today.